Old Rices Rd., and then straight across NY 232 to the end of NY 232. That doesn't make sense, does it? 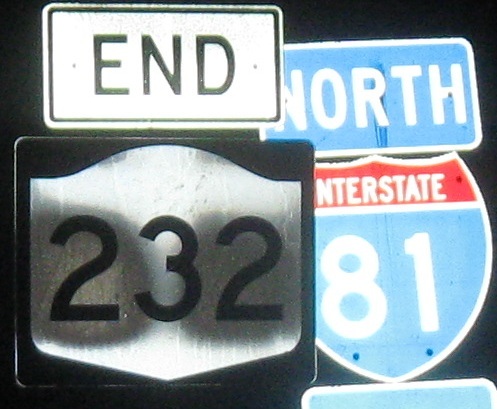 It has to do with the SB ramps being on the other side of the highway, so NY 232 effectively splits in two. Its legislated definition, though, is to the NB ramps as seen here.